Open the process / game to be attached to, if it's not already opened. 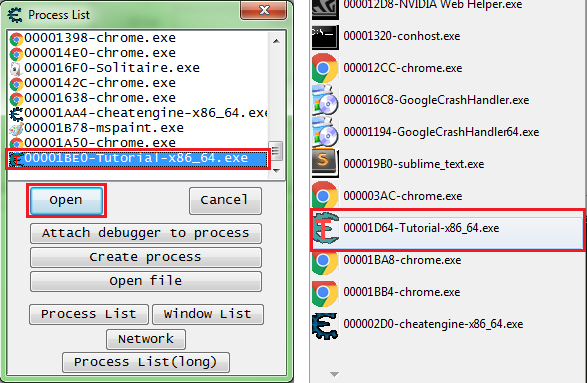 Open Cheat Engine, if it's not already opened. Click the computer icon in the Cheat Engine form tool bar, it should be blinking if Cheat Engine was just opened, or on the Cheat Engine main form menu select process. Select the process from the list. Click the open button or double click the process. You should see the process name at the top of the form. You are now attached to the process. And from here the sky is the limit, or maybe it's the sky box is the limit.